You are here: Home » Snackin’ on This! Some dishes bring you right back to your childhood. When I was a kid, we occasionally would have for lunch a dish which we termed “Beef and Biscuits”. There is several ways to make the dish: the hard way or the easy way. The hard way includes making a beef roast and biscuit dough. I can’t say that I recall we ever did it the hard way. 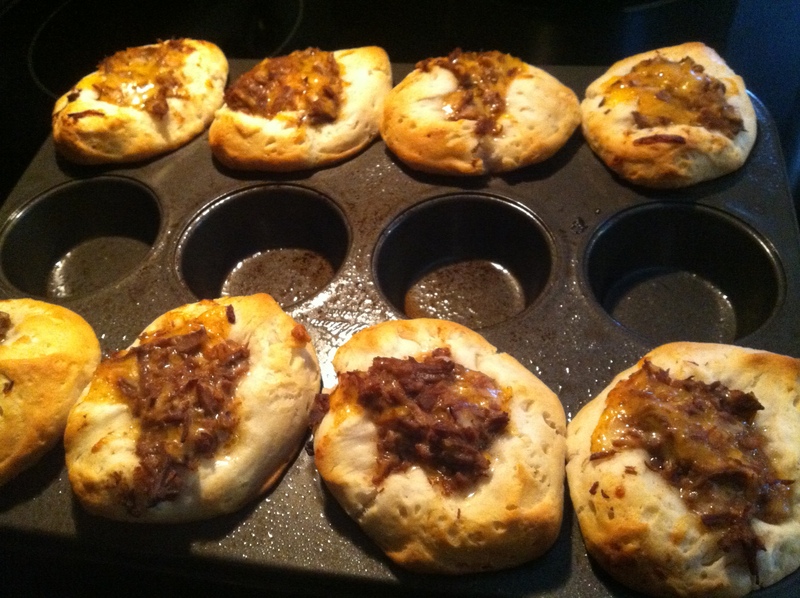 The easy way uses canned biscuit dough and canned roast beef. Canned roast beef is increasingly hard to find though. 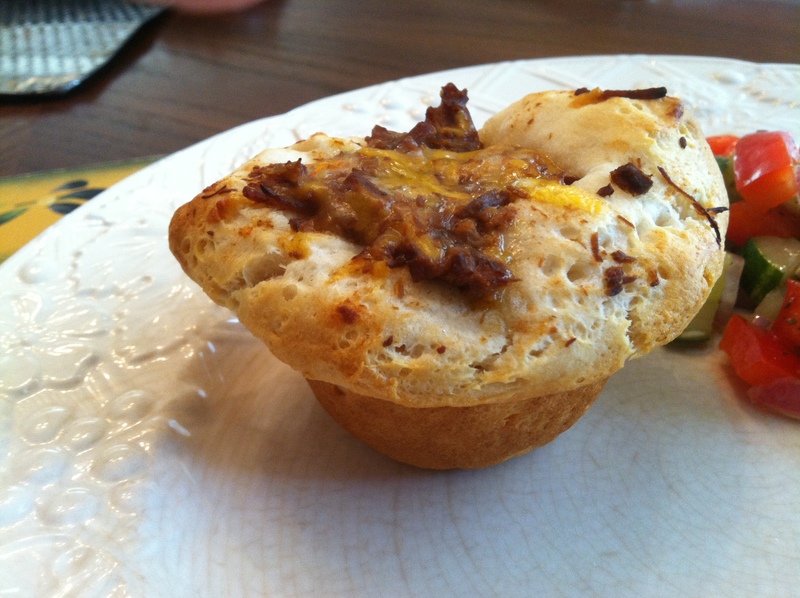 A nice little biscuit cup with beef and cheese. Yum! The recipe I knew as a kid didn’t use shredded cheese. Instead, a slice of cheese was placed over the top. By doing that you had both a nice melt over the top and also trapped thousand degree heat in the meat mixture, ensuring a mouth burn every time. 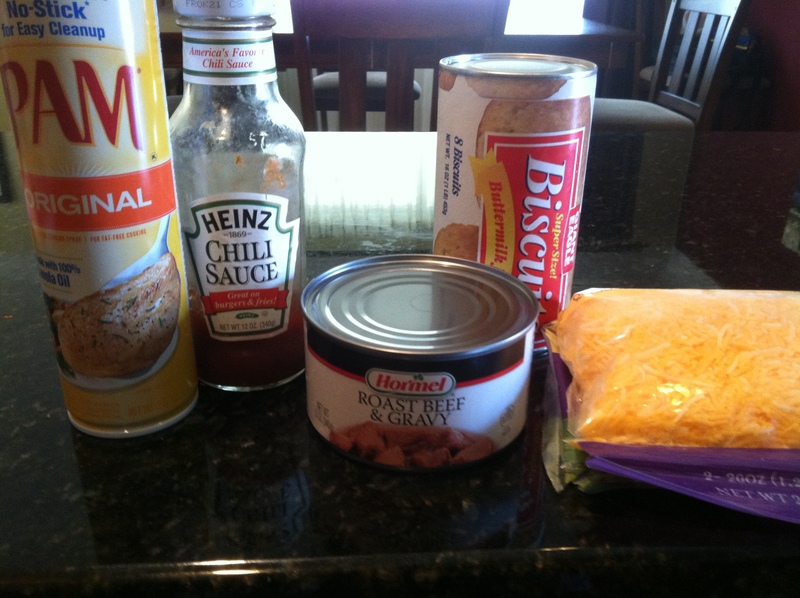 As a teen, I subbed in the shredded cheese instead and it has stayed ever since. If you use canned roast beef, drain the gravy from it. If you use leftover roast beef, even better. Shred the beef with a fork. Add the chili sauce (it is not hot at all) and the cheese. Spray the muffin tin with non-stick spray and place a biscuit dough round in each cup. 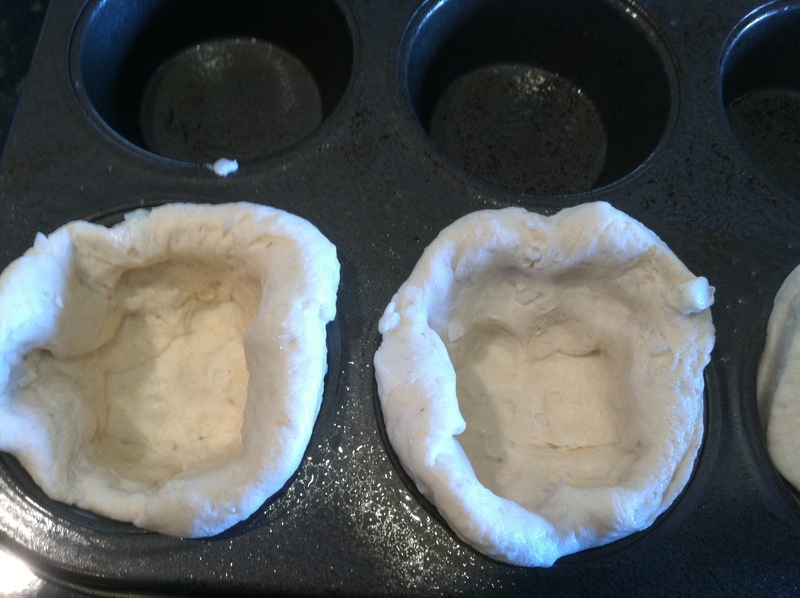 Using your fingers and thumbs make a pocket of the dough and spread the dough up the sides of the muffin cup. 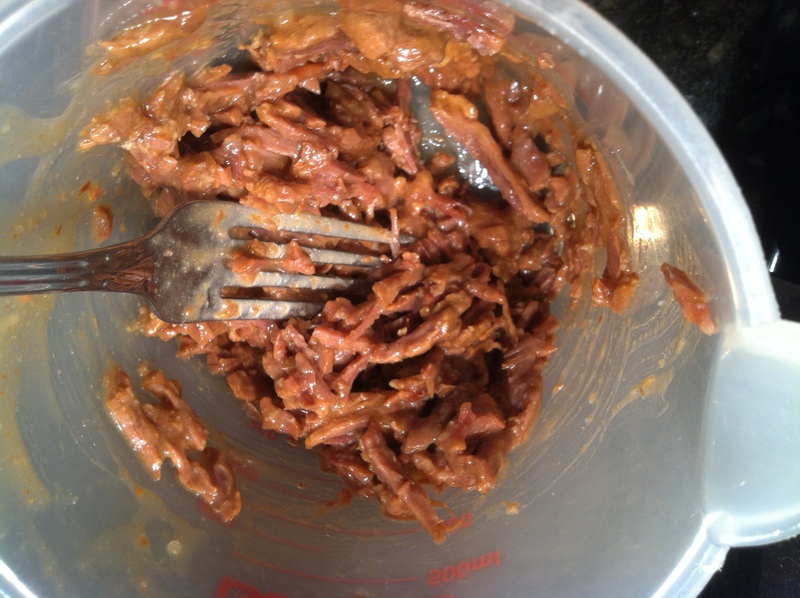 Fill with the beef mixture. Beautiful and a great tasting lunch. I have also made mini ones for appetizers. Preheat oven to temperature on biscuit container directions. Spray muffin tin with cooking spray. 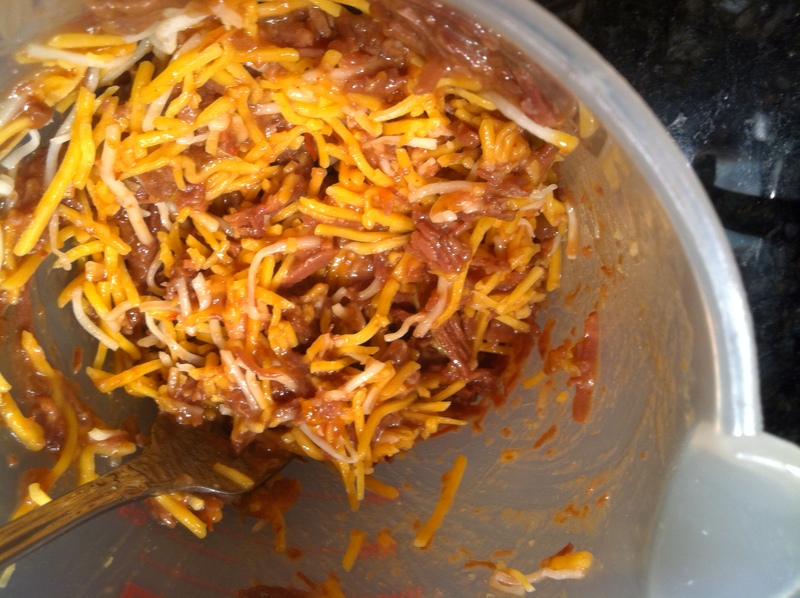 Discard gravy from beef and mix beef with chili sauce and shredded cheese. Place 1 biscuit in each outside muffin tin. 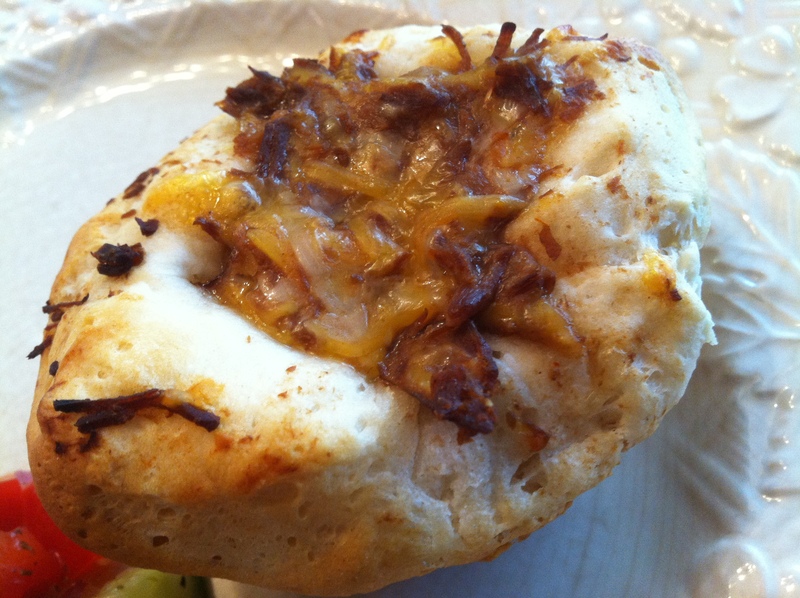 Spread biscuit dough across bottom and up sides of muffin cup, creating a cup. Spoon beef mixture into each cup. Bake according to biscuit directions. Serve. This is a really good idea!! So good!! 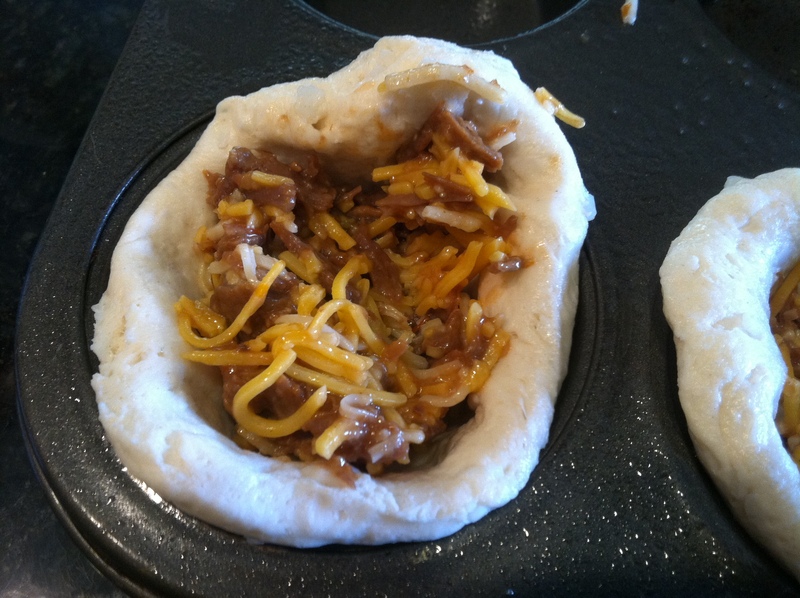 I’ve done the same with sloppy joes – put ’em in a biscuit instead of on a bun. Kids love them. I could do with a few! Being a vegetarian this recipe (ALMOST) makes me want to eat meat again..LOL.. It looks delicious ! You can always go to your deli and have them slice roast beef to about 1/2″ thick and tear it up. I’ve never seen tinned biscuits over here, so I’ll have to do it the “hard way” I reckon. This is a definite keeper and I’m already bubbling with other ideas… how about chicken, or lamb?? 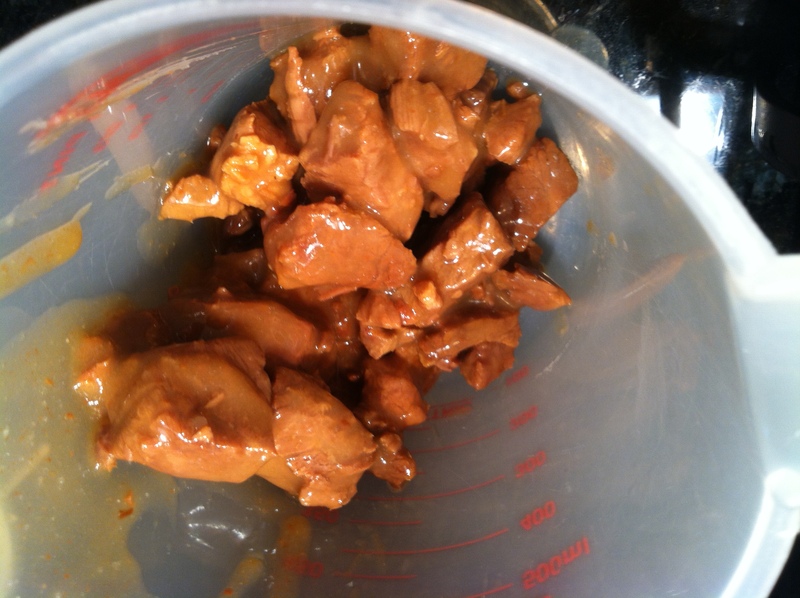 I have done pulled chicken with BBQ sauce and that worked as well. I assume all sorts of combinations would go well. Just make sure the meat is cooked before putting into the biscuit cups. These look ace – not too sure where I’ll get tinned biscuits over here in the UK, but I guess making a biscuit (scone, I guess we’d call it?) dough isn’t exactly tricky. I like the sound of these. Although I live in Georgia I am English and “Beef and Biscuits” sounds like something my grandmother would have made. Great pictures and presentation! Such a great idea for apps! I will certainly give this a go! Some days, it’s really dangerous to my diet to look at your page. I want to have this now. But I don’t want to make a potroast and I never knew it came in a can. I wonder if I can find it anywhere? nummy nummy nummy!!!!!! makes me feel 13 again and having dinner my best friend’s house on a Friday night!